I hope you find great value in these Quotes about Tradition from my large collection of inspirational quotes and motivational sayings. what is left of the old. the form and the more you have already done that you do not want to do again. beginning in the teachings of Plato and Aristotle. I believe it came to a no less definite end in the theories of Karl Marx. it means that the dead are living. that stands in the way of exploration. 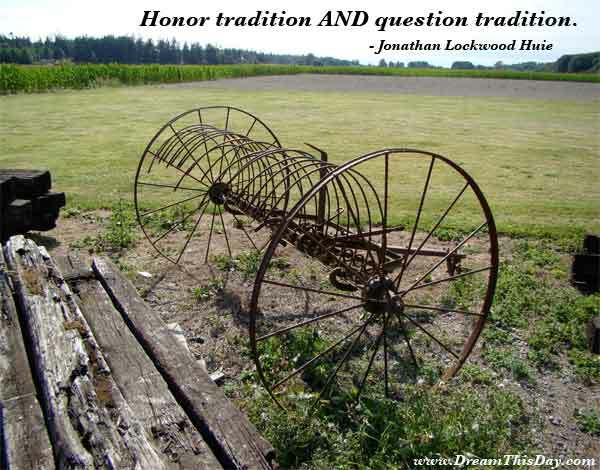 Thank you for visiting: Tradition Quotes.